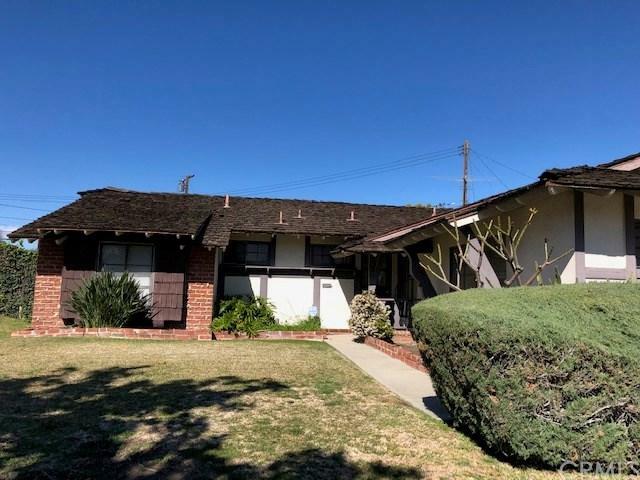 This original 3 bedroom 2 bath home has great potential, needs total upgrading and remodeling . Floor plan flows well, compact kitchen has an area for seating and tv or expand for dining. Open half wall partition with spindles looks into good size living room with lots of windows , with a view to a huge backyard with a 10,260 sq. ft. lot . Room for expanding home and putting in a pool or planting a massive garden . This home has some great window sizes, you'll notice in kitchen/family area large window, in the master bedroom there is also a large window that goes low ,makes the home light and bright. The double attached garage has direct access into the home through the kitchen. This home does have central air and heat . Olita elementary school right around the corner and has a view from the home through the kitchen window and backyard. You will notice this street is wide , cars can pass easily. Nice neighborhood , close to shopping ,school, restaurants, post office, freeway . This home has it all and needs it all. A must see , as you want to grab this opportunity . Sold by Richard Sarabia of Re/Max Evolution.